Obituary of John R. James. The James Preservation Trust has received the contribution of the obituary of Dr. John R. James, an uncle of Frank and Jesse James. 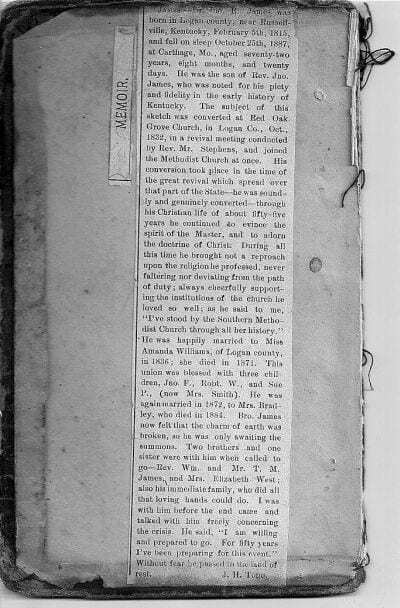 For over a hundred years the obituary lay inside the family bible of Jesse Edward Smith, Dr. James’ grandson. Upon the death of Jesse Edwards Smith, the bible was passed to his daughter Agnes. Although Agnes married, she bore no children. Agnes left the bible to her favorite nephew Jesse Deets Smith. The James Preservation Trust extends its gratitude to Jesse Deets Smith and his cousin Sandy Kassen for this contribution. 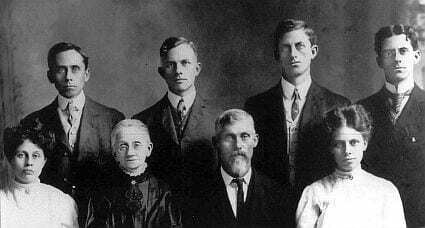 Both are descendants of Dr. John R. James, an uncle of Frank and Jesse James. Doctor John. R. James was born in Logan County, near Russellville, Kentucky, February 5th, 1815, and fell on sleep October 25th, 1887, at Carthage, Missouri, aged seventy-two years, eight months, and twenty days. He was the son of Rev. John James, who was noted for his piety and fidelity in the early history of Kentucky. 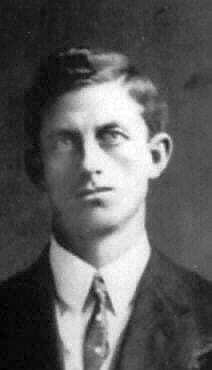 Jesse Edward Smith, grandson of Dr. John R. James. See RELATED STORIES below. He was happily married to Miss Amanda Williams, of Logan county, in 1836; she died in 1871. This union was blessed with three children, John. F., Robert. W., and Sue P., (now Mrs. Smith). He was again married in 1872, to Mrs. Bradley, who died in 1884. Bro. James now felt that the charm of earth was broken, so he was only awaiting the summons. Two brothers and one sister were with him when called to go— Reverend William and Mr. T. M. James, and Mrs. Elizabeth West; also his immediate family, who did all that loving hands could do. I was with him before the end came and talked with him freely about the crisis. “I am willing and prepared to go.” For fifty years I’ve been preparing for this event.” Without fear he passed to the land of rest. Dr. J. R. James died this morning at five o’clock at the residence of his son-in-law, J. W. Smith, corner of Chestnut Avenue and Clinton street. The deceased was almost a total stranger in this city, having come here from Anthony, Kansas the 7th of last month with his son, R. W. James, who is now in the harness and buggy business on North Main Street. He was over seventy-two years of age and died from a disease of many years standing. His two brothers and a sister, Rev. Wm. H. James, T. M. James, Mrs. Elizabeth West, all of Kansas City, arrived last evening and were present at the time of his death. The funeral will take place tomorrow at 10 a.m. from the South Methodist Church, Rev. J. W. Todd preaching the sermon. The funeral services will be in charge of the Masonic order of this city and the remains will be interred in Park Cemetery.